His obsession with success is depicted in yet another scene when he says that he has a problem of proving those who say he will fail wrong. The trailer of Maharshi comprises Mahesh Babu and Mahesh Babu alone. However, it follows a certain pattern where at first he is shown dressed in a three-piece suit and alighting from a helicopter. This, coupled with the lines about success, gives the impression of a businessman. Slowly, another facet of the character emerges when he is shown running through the corridors of what seems like a college, dressed in a rather modest outfit. Finally, the trailer comes to a close with the actor bashing up a bunch of goons against the background of a rural temple. Again, the Pokkiri star’s costumes have changed and reflect the situation. 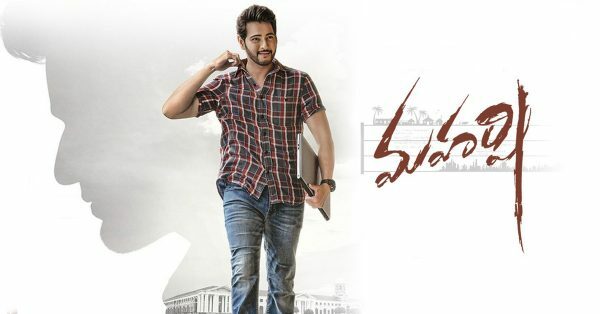 Maharshi is Mahesh Babu’s 25th film and the actor reportedly plays five roles with different looks in the film. Pooja Hegde and Allari Naresh also star in the film, that has veteran actor Jayapradha in a pivotal role. The film is directed by Vamshi Paidipally of Oopiri fame, and produced by Dil Raju under Sri Venkateswara Creations, Vyjayanthi Cinemas and PVP Cinemas. KU Mohanan handles cinematography, and Devi Sri Prasad is the music composer. The film, that was earlier scheduled to release on April 25, was pushed to May 9. While there were other reasons behind this, the makers did not want parliamentary elections to affect the prospects of the movie.